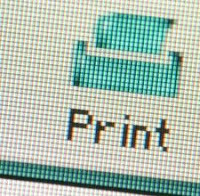 For those who also need or want to print a web site it gets a little tricky because if the option is available on all modern browsers, when the printer works usually leave out of position and really ends up being a total disaster. To help with this is a good idea ueses PrintFriendly , A web application, as its name suggests, makes you a printer-friendly version of any page starting or linking to a website to avoid having to take time to fix it yourself. To use just go to the main site and put the link want to convert . Then you just have to wait and go. The options give the application more than enough and you can see a preview of how it will, you can edit some things to remove images, text or anything that bothers you or that you are interested in and you can finally download it or send a PDF print immediately if that is the case.